Indonesia’s National Transportation Safety Committee (NTSC) says the pilots of Lion Air flight JT610 were battling a “flight control problem” before the aircraft plunged into the Java Sea. The NTSC has released its preliminary report on the accident involving Lion Air Boeing 737 MAX 8 PK-LQP, which crashed shortly after it took off Jakarta Soekarno-Hatta International Airport bound for Pangkal Pinang on October 29. The aircraft was carrying 181 passengers, two pilots and five cabin crew. There were no survivors. Indonesian search and rescue teams located the flight data recorder on November 1. However, the cockpit voice recorder is yet to be found. The investigation so far from the Indonesian National Transportation Safety Committee has found the aircraft had experienced airspeed indicator malfunctions on its last four flights. In particular, the pilots that operated PK-LQP’s second-to-last flight – from Denpasar to Jakarta on October 28 – experienced conflicting information despite an angle of attack (AOA) sensor being replaced. The preliminary report published on Wednesday afternoon said the digital flight data recorder (DFDR) showed the “stick shaker activated during the rotation and remained active throughout the flight” from Denpasar to Jakarta. The pilot in command noticed a warning on the primary flight display an indicated air speed warning IAS DISAGREE. After handing control to the second in command cross checking the PFDs with the standby instrument, the pilot in command determined that the left PFD had the problem. The pilot in command declared a “PAN PAN” to the Denpasar Approach controller due to instrument failure and requested to maintain runway heading. Then, after performing three non-normal checklists, none of which contained the instruction “Plan to land at the nearest suitable airport”, the flight continued onto Jakarta and landed safely. Once on the ground, the pilot in command informed engineers what happened and entered the details in the Aircraft Flight Maintenance Log (AFML). An engineer then performed the flushing of the left Pitot Air Data Module (ADM) and static ADM and conduction an operation test off the ground. The electrical connector plug of the elevator feel computer was also cleaned and tested on the ground. The next day, when PK-LQP took off as JD610, the preliminary report said the DFDR “recorded a difference between left and right angle of attack (AoA) of about 20° and continued until the end of recording”. “During rotation the left control column stick shaker activated and continued for most of the flight,” the preliminary report said. The preliminary report said the second in command requested approval from air traffic control “to some holding point” due to what was described as a “flight control problem”. “After the flaps retracted, the FDR recorded automatic aircraft nose down (AND) trim active for 10 seconds followed by flight crew commanded aircraft nose up (ANU) trim. The flaps extended to 5 and the automatic AND trim stopped,” the preliminary report said. The last communication between air traffic control and the aircraft was the pilot in command’s request to block altitude 3,000 feet above and below for traffic avoidance. “The air traffic controller asked what altitude the pilot wanted. “At 23:31:35 UTC, the LNI610 PIC responded ‘five thou’,” the preliminary report said. The recording ended about 20 seconds later and the flight disappeared from the Aircraft Situational Display (ASD) at 23:32:19 UTC. Boeing said in a statement on November 21, before the preliminary report was published, that it was working with investigators to uncover the cause of the crash. “We are deeply saddened by the loss of Lion Air Flight JT 610. We extend our heartfelt condolences and sympathies to the families and loved ones of those on board,” Boeing said. The investigation has also canvassed the role of the Maneuvering Characteristics Augmentation System (MCAS) that was introduced on the 737 MAX. However, Boeing has rejected the claims, with chief executive Dennis Muilenburg saying it was included in the flight crew operations manual, according to a memo to staff seen by The Air Current. 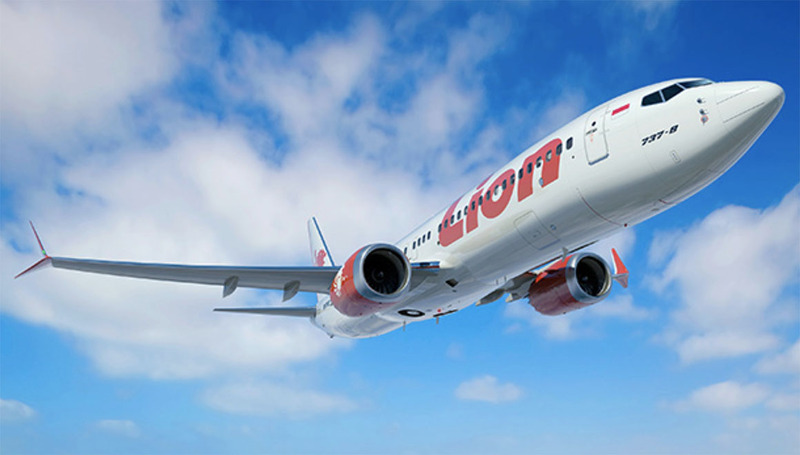 Indonesian regulators had also temporarily suspended some Lion Air technical staff, including the company’s technical director. The Lion Air accident has also prompted Australia’s aviation safety regulator to undertake additional checks on Lion Air subsidiaries that currently fly to Australia. Civil Aviation Safety Authority (CASA) director of aviation safety and chief executive Shane Carmody told delegates at the Australian Airports Association (AAA) national conference on November 13 inspections of Malaysia-based Malindo Air and Indonesia’s Batik Air – both part of the Lion Air group – have been ramped up following the crash of JT610. “This week and last week, my staff were at aerodromes and airport in Western Australia and in the Northern Territory conducting active surveillance on Malindo and Batik Air as a consequence of the Lion Air tragedy of a couple of weeks ago,” Carmody said. The preliminary report’s safety recommendations called on Lion Air to ensure the “implementation of the Operation Manual part A subchapter 1.4.2 in order to improve the safety culture and to enable the pilot to make proper decision to continue the flight”. Further, it recommended “ensuring all the operation documents are properly filled and documented”, noting there flight lists had six flight attendants on board when there were only five. “This indicated that the weight and balance sheet did not contain actual information,” the preliminary report said. The full report can be read on the NTSC website. VIDEO: A look at the recovery of the flight data recorder from The Associated Press YouTube channel. So uncommanded/unexpected trim inputs for FIVE minutes and neither of them thought it may be a runaway trim? Sure they were dealing with the intrumentation issues but power+attitude=performance. Something that you’d hope would be rammed home after AF447. I’m sure the Max8 QRH has a couple of suggested values very early on in the checklist. Also they went flaps up, flaps 5, flaps up? Obviously they were trying something and either the flap 5 made the controlability worse or they thought they were turning back earlier and then changed their minds? It’s not been covered previously but does MCAS turn off when flaps are not up or was it that flap 5 then brought the erroneous AoA back inside the MCAS envelope? Flaps are on the main wings. Elevators are on the tailplane wings. Five degrees of flaps will disable the MCAS, so the aircraft could have flown (albeit uneconomically) with a 5 degree flap setting. As the faulty AOA sensors seem to affect just about all control readouts. (airspeed altitude etc) The pilots appeared to be unsure of what the problem really was.